SCR4 N-210 Titan Tankless Water Heater Discounts Apply ! 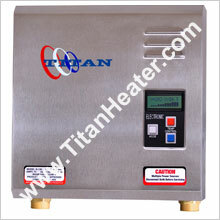 The Titan tankless water heater SCR4 N-210 is one of the latest additions to our product offering. Boasting 21 kW of heating power, it will meet the needs of most home owners.